More growers these days are turning to using boron for growth and development of their crops. Boron is an essential plant micronutrient vital to fertilization with fruit and seed production and is essential for maintaining a balance between sugar and starch, helping in the translocation of sugar and carbohydrates. By aiding in the transfer of sugars and nutrients from leaves to fruit it also increases pollination and seed development. It’s a crucial element for all plants and vital to maximizing crop quality and yield. Boron can be used to benefit growers in two different ways: (1) in large concentrations it will function as herbicides, algaecides and other pesticides; and (2) in small concentrations it can be used in fertilizers. It is necessary for normal cell division, nitrogen metabolism and protein formation and can be applied by spraying onto plants leaves. This benefits some plants whose intake is better through their leaves or in other case where spraying is a better way of fertilizing. Where needed, use of boron can be profitable in the long run. Boric acid is frequently used in the agriculture industry as a source of boron for liquid fertilizers. These fertilizers are about 10% boron; and are used for soil and foliar applications. Boron products can be applied by spraying it on the leaves which benefits some plants whose intake is better through their leaves. When boron is applied through the soil it enters plants by a process called mass flow, where water moves into the plant roots carrying nutrients along with it. Crops grown in soils with low water-holding capacity and without irrigation might experience boron deficiency. Alfalfa, cotton and certain vegetable crops have a high boron requirement. Other crops like corn have a lower requirement. If you grow a high-responsive crop like alfalfa, the grower is likely to have a boron deficiency versus corn which is a low-responsive crop. There are two important factors about boron: the soil organic matter is an important reservoir, and it’s said to be potentially mobile in the soil, less mobile than nitrate, but mobile nonetheless. Sandy, acid soils with low organic matter are considered most prone for having deficient boron. 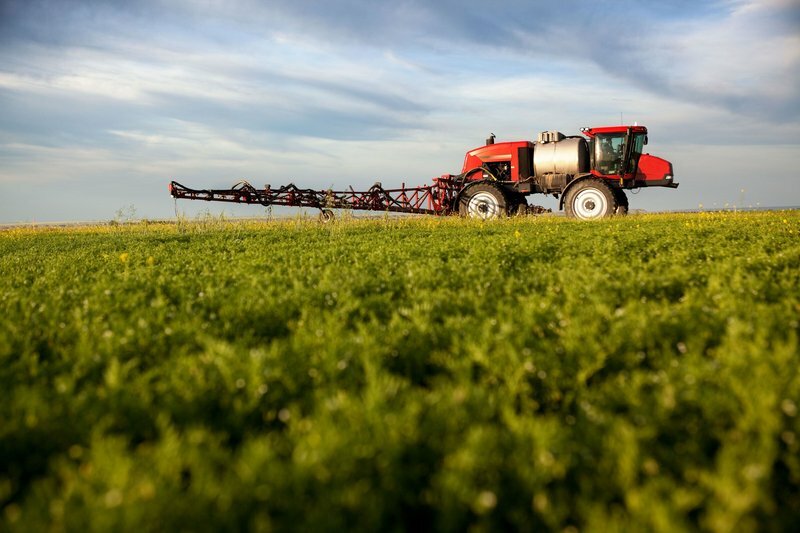 If excess boron is applied it can result in toxicity problems. An example of over-applying happened when a farmer over-applied boron to his corn and the end result was pretty green corn plants with no ears and leaf burns along the edges. Toxicity is a problem if irrigation water levels are 3 to 4 pounds of boron per acre-foot or greater. Testing soil and irrigation water is the only way to identify potentially beneficial or problematic levels of boron. If the grower is applying boron for the first time it’s important they check with the supplier for the correct rate. Improving soil health will help with boron intake. In a nutshell, boron helps ensure healthy crops. It’s one of the many reasons why growers are looking to use it on their plants. If a grower chooses to use boron and it’s applied correctly, growers should see higher yields and maximum crop quality.